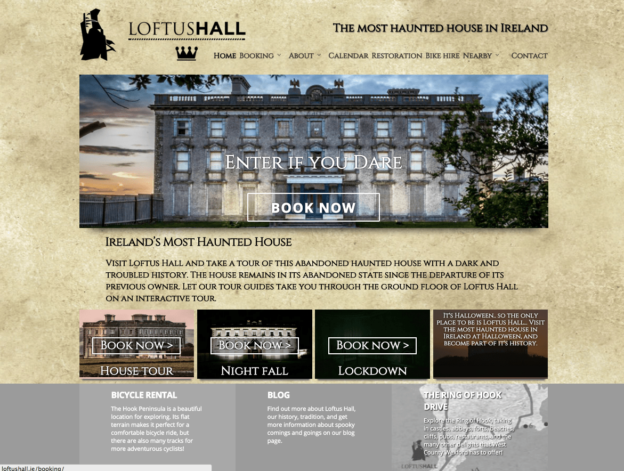 On Friday 13th of February, we launched the brand new Loftus Hall website. Ireland’s Most Haunted House, Loftus Hall is a unique tourist attraction in Hook Head, County Wexford, attracting visitors from all over the world to experience the paranormal goings on! Loftus Hall offers tours for groups, individuals, as well as Adults Only Tours and Paranormal Lockdown Experiences. Read more about the spooky history, and book a tour on their new website.